- 7v7 blues try to get the ball from side to side when in possesion - reds top to bottom. 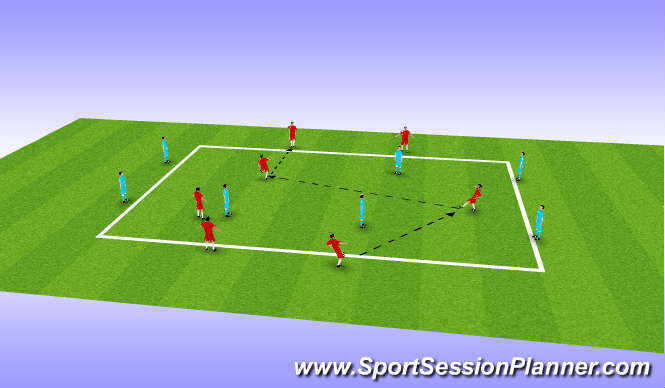 Game Understanding - Can Red team recover and get goal side of the ball and regai shape before pressing ball. GK throws ball to one of the blue players they try to attack quiackly before Red can make recovery run. Passing - Clean accurate, Reciving - Good body position, side on. &apos;try to&apos; pass forward. 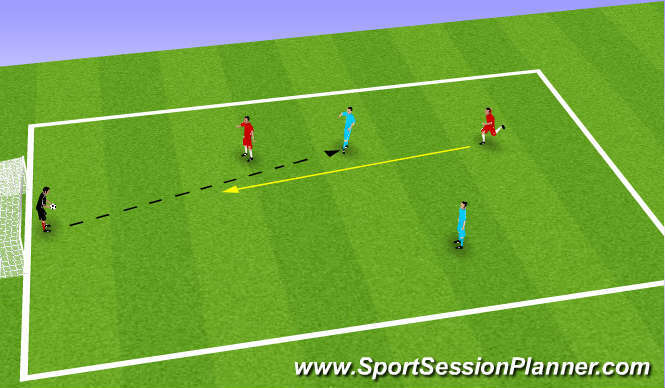 Recovery runs towards near post - dont chase ball - regain shape. A, B, C,S short sharp bursts. Encorage players to take responsibility organise team. m/f improved and started to develop good shape when out of possession. Josh still struggling with passing / decision making needs to be more decisive. George improving - better at receiving and has more awareness.